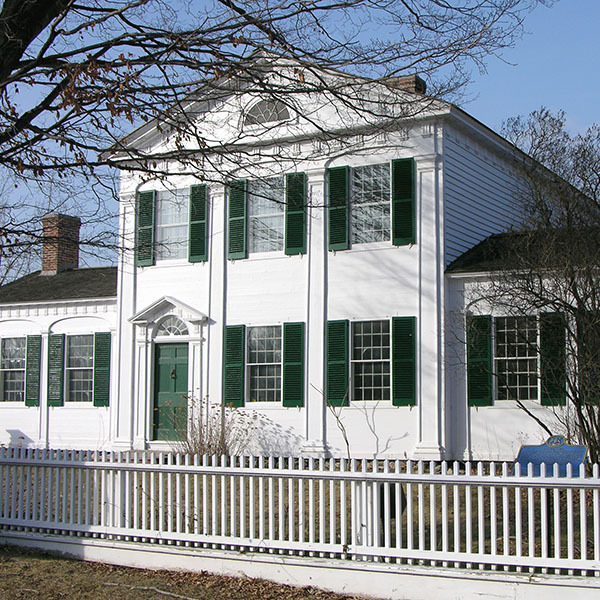 McMartin House was built in the American Federal style in 1830 for Daniel McMartin (1798-1869), one of the first lawyers in Perth. The son of Loyalists from the Morrisburg area, McMartin established a law practice in Perth in 1823. Well-educated and well-connected, he acquired a prominent clientele. In 1827, he purchased a lot at the corner of Gore and Harvey Streets, a prominent location in the town which had once been the site of the office of the superintendent for the Perth militia settlement. In the summer of 1830, McMartin began construction of a house on the property. He personally supervised the design and construction of the two-storey brick home. Built in red brick with marble trim, round and semi-elliptical arches are layered across the symmetrical façade that is decorated with quoins. The house displays many features of the American Federal style of architecture. This style was common in the eastern United States between 1780 and 1820 but was rare in buildings in Ontario. The architectural style of this house shows the degree to which cultural influences transcended national boundaries. The interiors of the house have been altered but retain important decorative details. Although designed in the Federal style, the house also displays a number of features characteristic of other upper-class homes from this era in Upper Canada's history. McMartin House has the classical proportions found in many contemporary elite residences. Interior details, such as the window trim and moldings, were inspired by the published architectural renderings of Asher Benjamin, an influential designer in the Greek Revival style. The classical moldings of the gate and the corners of the picket fence can also be traced to this source. The oval chimney opening is similar to that in the nearby Summit House (1823), the residence of James Boulton, also a lawyer (and McMartin's main competition). Major renovations were made to the house in 1883 by a subsequent owner, Dr. William Grant. In 1919, St. John's Roman Catholic Church purchased the house for use as a parish hall. Its interior was altered to accommodate parish functions. St. John's Hall, as it was called, accommodated parish meetings and other community events for 52 years. 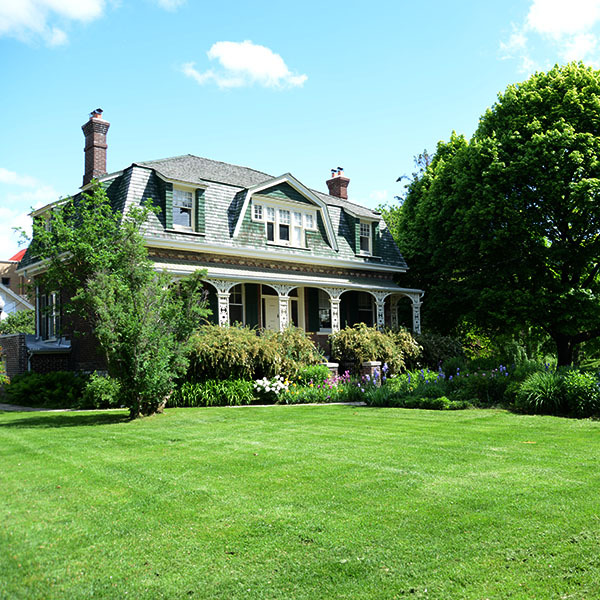 In 1972, McMartin House was acquired by the Ontario Heritage Trust. The Trust performed extensive repairs and landscaping on the property and in 1975 it became the home of the local Senior Craft Fellowship. In the 1974-76 restoration, lanterns ornamenting the roof and the fence around the property were replaced according to photographic evidence. The original 1830 roof design was restored in 1990. The house is open to the public free of charge, from 1 to 4 p.m., Monday to Friday. McMartin House, a National Historic Site owned by the Ontario Heritage Trust, is still home today to the Perth District Senior Craft Fellowship.